When it comes to choosing a new boiler for your home, it’s important to weigh up the benefits that each different type can bring. As time moves on, newer technologies have been developed to make things easier for people and, when it comes to the kind of boilers that are currently on the market, this is no exception. All new boilers these days are designed to offer the maximum in comfort and efficiency. But, depending on the space you have available, how much hot water you’ll need and how cost effective it has to be, it’s definitely worth finding out what the benefits of a combi or regular boiler are. And, of course, when you’re looking for Loughborough boilers, special offers are a plus too. At RJ Dutton, we pride ourselves on offering a friendly, reliable and professional local service for anyone looking for a boiler in Loughborough – as well as the parts and services they need at prices they can afford. If you’re looking for a great deal on a new boiler, then take a look at some of these tempting wallet friendly offers. Upgrade your old combination boiler to a new A rated Ideal Esprit 2 combination boiler with a three year warranty. Prices start from £1499.00 (inc VAT). Upgrade from a standard regular boiler to an Ideal Esprit 2 A rated combination boiler with a three year warranty – prices from £1995.00 (inc VAT). Contact us today to save money today! When it comes to investing in a new boiler, it pays to do your research and choose the one which is right for your home, for a whole variety of reasons. If you would like to find out more about the kind of boiler that would be perfect, then get in touch with our team today. You could discover more about not only getting the best value for your money, but also how to have a central heating and hot water system that will stay reliable and efficient for years to come. Never worry about being left out in the cold again when it comes to a boiler breakdown. Contact us today and start saving money in your home. 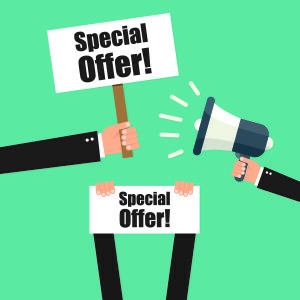 And if you would like to take advantage of any of the above offers please give us a call on 01509 502 402 for more details, or fill in the form on our contact page.